Valentine's Day is just around the corner! 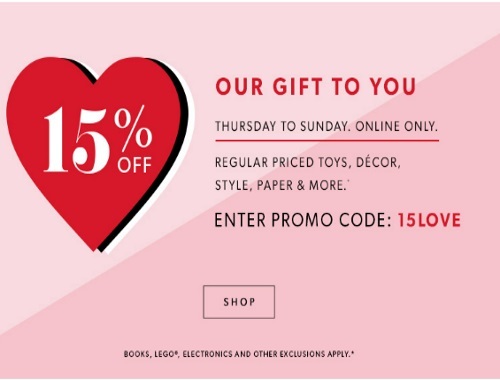 Chapters Indigo is offering 15% off regularly priced toys, decor, style, paper and more! Enter the promo code 15LOVE at checkout. Offer is valid until Sunday, February 12 2017.